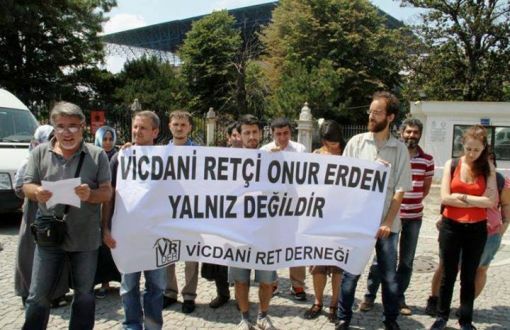 Onur Erden and Uğur Gültekin will have spent a total of 10 months in jail for refusing to serve in the Turkish army. According to a report released by Bianet news portal on March 23, the Gelibolu 2nd Corps Commandership Military Court handed down the sentence to two “conscientious objectors” on the grounds that they declared their refusal to join the Turkish army. Military service in Turkey is compulsory for all male citizens between 20 – 41 years of age. Women are also allowed only to become officers choosing it as a career enrolling in military schools and not as conscripts. Releasing a statement following the court ruling, Conscientious Objection Association lawyer Gökhan Sosyal stated that it was unlawful that his clients were tried by a military court over being conscientious objectors. The two objectors will be behind bars for 10 months if the penalty is approved by the Military Supreme Court.